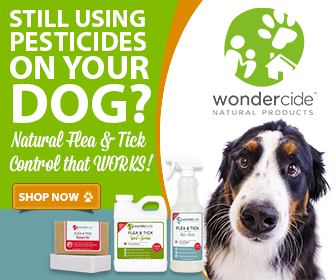 Home > Natural Solutions for Cats > Natural Solutions for Dogs > Natural Solutions for Pets > Wondercide > Introducing the Updated Flea & Tick Control for Pets + Home! Introducing the Updated Flea & Tick Control for Pets + Home! 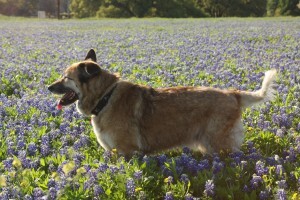 So, What’s New with Flea & Tick Control for Pets + Home? Wondercide is SUPER excited to share with you the all new Flea & Tick Control for Pets + Home formula with IMPROVED fragrances: Fresh Cedar, Lemongrass, and Rosemary. Customers like you let us know that the cedar aroma in the old Flea & Tick Control for Pets + Home formulation was a little overpowering, so we did our very best to improve it! We’re truly thrilled for you to give the new formulation a try and hope that you’ll let us know how WONDERfully it works for your pack. 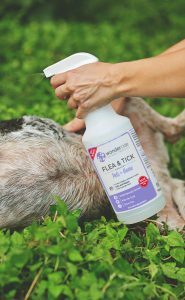 Flea & Tick Control for Pets + Home is still human grade, 100% naturally derived, made with therapeutic-grade essential oils, and effective for killing and repelling fleas, ticks, and mosquitoes! The instructions for use remain basically the same, and we think you’ll find that the scents are fresher & brighter. In addition to the “birth” of the new Flea & Tick Control for Pets + Home formula and improved aromatherapeutic scents, it’s also the birthday of the original Wonderpup, Luna, who would be 18 years old today. As you may know, Wondercide was born when our founder almost lost Luna to conventional pesticide poisoning from a popular vet-prescribed “spot drop,” and our goal has always been to create safe and effective products that honor her legacy and help dogs & cats around the world. We can’t think of a more fitting time to introduce our updated natural flea spray! Happy birthday, Luna, we love and miss you! What goes into the improved Flea & Tick Control for Pets + Home? Wondercide is fully committed to sourcing quality ingredients that are derived from nature and come from the USA. Our natural flea & tick spray is chock full of amazing things pets and their people love… and bugs hate! Each aromatherapeutic variety of Flea & Tick Control for Pets + Home – calming Cedar, invigorating Lemongrass, and restorative Rosemary – contains 8% active ingredients and is equally effective, so choosing one over the other is just a matter of personal preference. You can learn more about each ingredient, its source, and its purpose at wondercide.com/ingredients. How do you use the new Flea & Tick Control for Pets + Home? The instructions for use are the same as the old formula. Just shake, spray and play! HOME | To treat an active flea or tick problem indoors, simply spray all surfaces – flooring, upholstery, rugs, etc. – from the bottle or using a compression sprayer to quickly and easily treat the issue. Thanks for your message, Lynn. 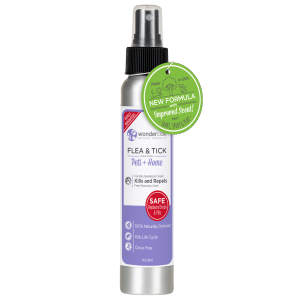 For full product details about the Flea & Tick for Pets+Home spray, you can visit this product’s page on our website HERE.